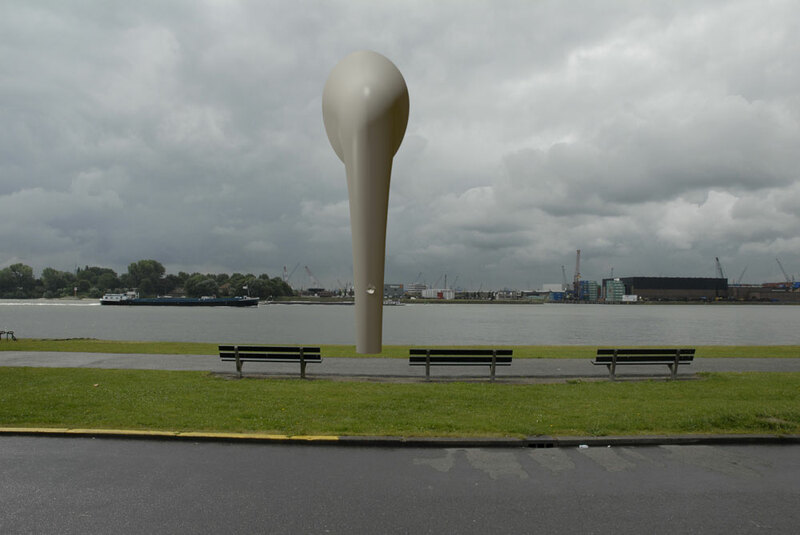 My Idea for the sculpture at the Maasboulevard in Schiedam, starts from the desire to establish a direct relation between the “passengers of the sea” with the “passengers of the boulevard”. Looking from the water to the land brings your thoughts and memories to the shore; From the land, you see the water and the ships passing by and you enterprise an imaginary journey on board. A beautiful place where the border between water and land is tangible, a place to imagine and day dream. The work will make audible and visible the division between land and sea, past and present. I want to braid the stories, the history of the inhabitant, the sailors and my association with the place together. Presenting this to the public in a special way. The Spectator’s experience is the central focus. The work is not only a nice sculpture, but it also tells stories and it literary offers sound to hear . 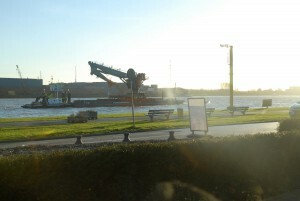 The sculpture needs to have a monumental size and a strong presence, well visible from the water. 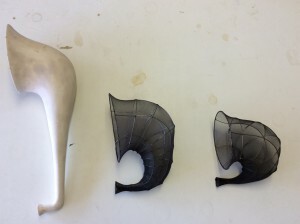 In the past I have made different works and researches about the horn shape. For this location I developed a new one with a specific character. 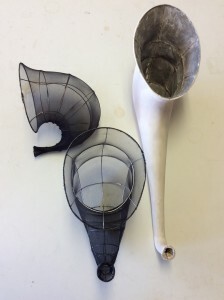 An hybrid between an horn, a ship cowl ventilators and a seashell. The importance of the shape lay not only on the visual part but also on the acoustic one. It function as messenger and as receiver. It works in two directions and it makes a direct connection with the environment. It is a bridge that takes sound and gives it back. Visually, it connects the sky and the water with the land. Such a form is able to transform the audible reality, by amplifying, resonate and deform the surround. Because of the important tradition in Shipbuilding, the horn will be build out of metal sheets folded, forced and welded together as in the shipbuilding technique. As an alternative material, the sculpture could be realize in Steel, fiber-reinforced plastic, polyvinyl chloride foam. The Size is estimate to be between 8 and 10 meters high. 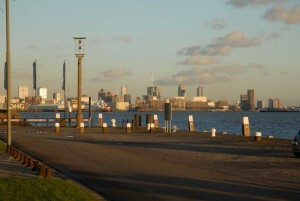 Important aspect is the foundation since the sculpture is near to the water. This project is a cooperation with the composers Rob van Rijswijk & Jeroen Strijbos and Nienke Rooijakkers, director and dramaturg. The music of Rijswijk and Strijbos has everything to do with a combination of technique, space and the mixing of different artistic disciplines. With their electronic music they bring the public in contact with the distinctive meaning of the dynamic, spatial and narrative experience of sounds. 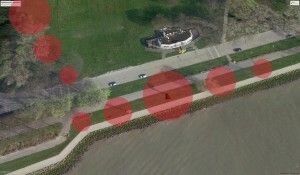 They develop the WALK WITH ME application, where the public make their own music route with help of GPS. Nienke Rooijakkers will work on the content and historical context that the work has as extra layer. The installation will litterally tell stories. 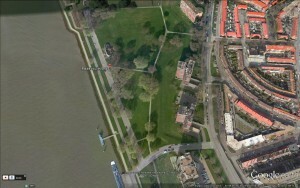 In three different levels, the work will tell about the place and people of Schiedam that are bound and connected with the place. The music, sound and stories are audible as well on path as on grass field. 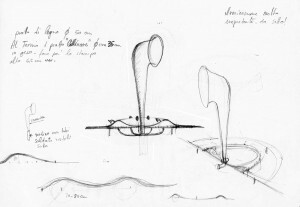 Around the sculpture, the sound and composition will be intensify with the intention of creating an attraction towards the central point, the horn. 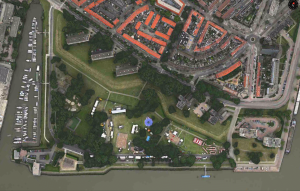 Some stories and compositions on the water side, will be extended on the Maas to allow the experience for the passing boats and ships. Feb 6, 2016 | Posted by Pierluigi Pompei in project | Comments Off on De Maashorn. 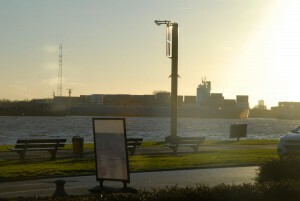 Maasboulevard,Schiedam.